With less than a month to Rosh Hashanah, World of Judaica is offering you an exclusive 12% off all items for the Jewish New Year. we have everything you need, from Rosh Hashanah Seder Plates to Honey Dishes. We also have a massive selection of authentic ram and kudu horn Shofars, with almost every size available! If you are celebrating with loved ones or friends, we suggest a small gift from Israel, such as chocolate or even a jar of honey produced in Israel. To help you prepare for the holidays, we are offering you a 12% discount that can be used on all products on the website. 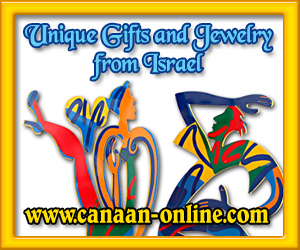 Take a look at our selection of Judaica products, jewelry and gifts – you won't be disappointed! To continue to receive promotions and discounts, add support@worldofjudaica.com to your address book. Sign up for the World of Judaica Affiliate Program today. Track your order at www.worldofjudaica.com. Some Restrictions may apply, please see website for details. All prices are subject to change without notice. Images may not accurately depict the actual items.